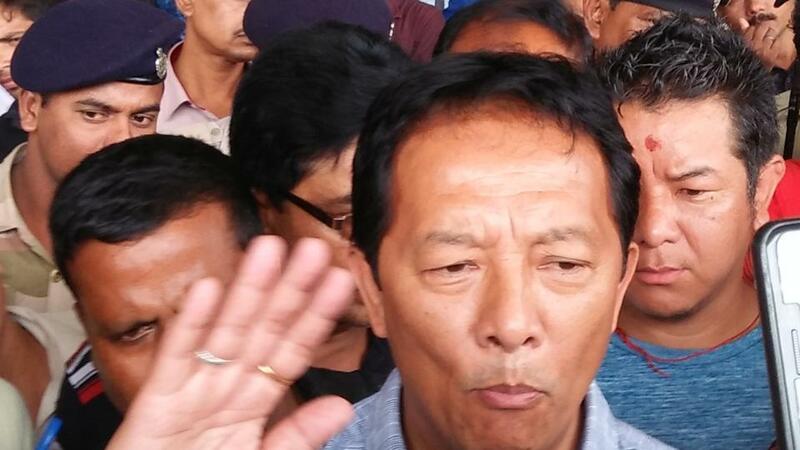 Kalimpong: The Binay Tamang faction of the Gorkha Janmukti Morcha on Tuesday formally constituted the Kalimpong district committee which was hitherto being run by an ad hoc body. Sanchabir Subba, who is a member of the GTA board of administrators, was appointed as the unit president and senior women's leader Gayatri Mukhia its secretary. The party also appointed vice-presidents and assistant secretaries for each of three blocks of the district and 25 executive members. Bhuwan Khanal, the Morcha spokesman for Kalimpong, said the office-bearers were selected after a threadbare discussion that lasted for about four hours on Monday night. "The office-bearers were selected in the presence of party general secretary Anit Thapa. All the selected office-bearers are expected to work with honesty and carry the party forward in a disciplined way," he said. The party also appointed Kalapana Tamang and Bidur Rai as the conveners of its women and youth wings, and they have been asked to form full-fledged district committees of their organisations. "Once the women and youth committees are formed, all three bodies will work actively to strengthen the party in Kalimpong district. We have already formed strong units in all the 13 (GTA) constituencies and at the (municipality) ward level," said Khanal. The Morcha's new district committee is a mix bag of senior and junior leaders from different political backgrounds, including those from other parties who had shifted their allegiance to the Morcha after the Tamang-Thapa duo rebelled against Morcha president Bimal Gurung. The Binay Tamang faction of the Gorkha Janmukti Morcha on Tuesday formally constituted the Kalimpong district committee which was hitherto being run by an ad hoc body.